Summer is an excellent time to learn something new! We are offering a series of summer intensive courses — an opportunity to learn something new, or dive more deeply into your practice. Here’s what we have in store for you! Have you ever wondered about deepening your yoga practice? Join Kristine for a mini-retreat that will take your practice deeper as you learn more about yoga, asana, meditation, and the rich philosophy of yoga. Take a day to deepen your knowledge of yoga asana. This workshop will focus on exploring selected poses in depth. This introductory workshop will focus on basic anatomy and introduce the “subtle energy” systems of yoga (the nadis and chakras). Designed for yoga students, the workshop will explore the ways yoga asana, meditation, and pranayama effect the systems of the body. Yoga is much more than a series of body postures. In its fullest expression yoga is a discipline, a path, and ultimately a way of life. This retreat is an introduction to some of the components of yoga as a “lifestyle.” The retreat will include yoga asana, an introduction to yogic philosophy (with an opportunity for discussion and questions), breath-work or “pranayama,” and a fuller conversation about what it means to adapt yoga as an approach toward healthy living. This is the first in a series of mini-retreats that will be offered on this topic at Aloft Studios. The day will consist of alternating periods of sitting and walking meditation with instruction. The day be held in Noble Silence which means that participants should not engage in conversation or socializing and that cell phones should be turned off and put away. There will be opportunities for questions and answers after talks and instructions. Participants should bring a lunch. NOTE: You do not have to have attended part one to attend part two. Yoga is much more than a series of body postures. In its fullest expression, yoga is a discipline, a path, and ultimately a way of life. This retreat is an introduction to some of the components of yoga as a “lifestyle.” The retreat will include yoga asana, an introduction to yogic philosophy (with an opportunity for discussion and questions), breath-work or “pranayama,” and a fuller conversation about what it means to adapt yoga as an approach toward healthy living. The intent of this retreat is to not only deepen your practice, but also to enhance your understanding of yoga and support you in finding your path as a life-long practitioner. This is the second in a series of mini-retreats that will be offered on this topic at Aloft Studios. You do not have to have attended previous retreats to participate. FOR MORE INFORMATION ON ANY OF THESE PROGRAMS, CONTACT KRISTINE THROUGH THIS WEBSITE OR AT zak.kristine@gmail.com. Cil Richards is a professor of Mechanical and Materials Engineering at Washington State University. 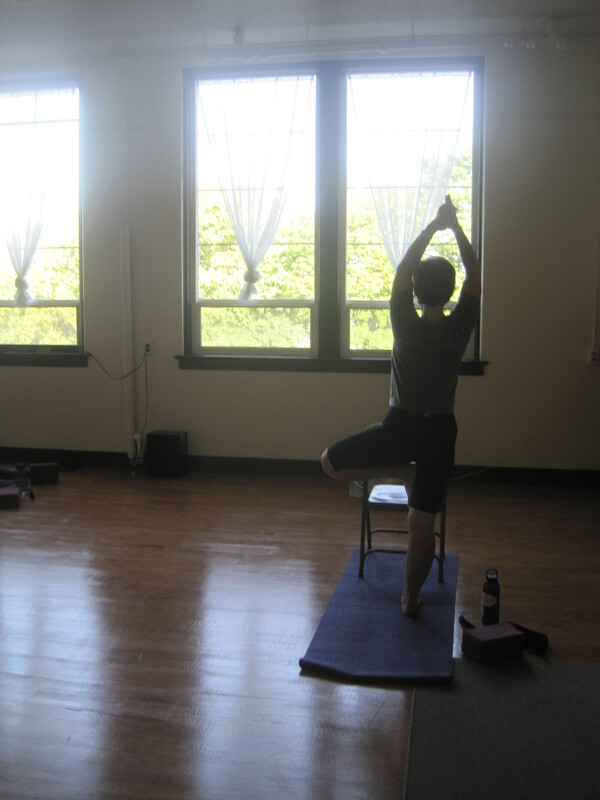 She has a committed meditation practice and teaches and leads a weekly meditation group at Aloft Studios. Here, she shares thoughts about meditation and shares why she meditates. In this politically charged election year I have been thinking a lot about views and how much trouble they can cause. View plays such a big role in what we believe, what we think about, and what we experience. It’s easy to say that we should drop our deeply held views and assumptions but that won’t make it happen. Fortunately meditation practice is a means to help us see those deeply held views and their effect. When we meditate do we really open up to what is there or do we make assumptions about what we are experiencing? “I’m tense, I’m sad, I’m not good at concentrating. I’d be able to meditate if I wasn’t so hot.” Persistent investigation reveals the holes in these assumptions about experience. Anyone who has sat and watched their mind knows that it’s a madhouse in there. Thoughts and moods come and go like crazy. Things are constantly changing. And although sometimes that can be a little disconcerting, it’s a good thing. The fact of change means there is opportunity, possibility. I’m not sad, or angry, or hot. Those states come and go. Further investigation can reveal under what conditions these states arise and the patterns of behavior that play out over and over. For example, when I am stressed I often find that there is also some craving or aversion present. By looking closely we begin to see that we often fabricate our own reality based on views. Accompanying views are associations and memories that the mind uses to solidify and manufacture a way of viewing experience. A helpful analogy from the physical world is a rainbow. We have all seen rainbows. No one would argue that they don’t exist, but we have all discovered that you can’t catch a rainbow, can’t touch it, and there is, alas, no pot of gold to be had. But what is a rainbow really? Is it a thing? Isn’t it really a process? One that happens when certain conditions are present? The recipe for a rainbow includes sun, rain, and an observer (you or me). Take away any one of these three and you don’t have a rainbow. The rainbow observed depends on where the observer is. That is, no two people ever see the ‘same’ rainbow. There is no ‘true’ rainbow. The rainbow ‘exists’ in relation to the sun, the rain, and the observer. Viewpoint matters. We all hold some mental model of how the world works. Most often, when confronted with information that violates that worldview we ignore it or deny it. By doing so we miss an opportunity to learn. Through meditation if we really look at what’s really happening we see many things that challenge our worldview. If we can loosen our grip on our views and allow a new way of seeing then the possibility of transformative learning or insight arises. Letting go of views and allowing for different ways of seeing and views is an important part of meditation practice. In my own practice through the years I have let go of and loosened many of my views. This has not been easy since as a professor I have certainly suffered from the ‘know it all’ disease. However, letting go of knowing how it is and seeing how it really is has really opened up my mind and practice. I consider myself to be a reasonably serious meditator. I’ve taken the time to look deeply at my mind, with varying degrees of intensity, for going on twenty years now. I’m still no kind of expert, but I have noticed a few significant changes for the better. One big difference is that I find meditating to be less effort and more fun. I was thinking about that as I drove home today after meditating with Kristine Zakarison and two other friends this afternoon, and I thought it might be a good subject for her blog. I also thought I should never fall asleep, squirm on my cushion or fantasize about food. (Honestly, I remember a week-long retreat when I couldn’t seem to quit visualizing bell peppers. Go figure.) I had a long list of things I could do wrong. Over the years, I have let that go (at least to a large degree). Each morning I approach my meditation with curiosity. “What will my meditation be like today?” I ask myself. “Will I relax into the joy of pure consciousness or will I feel like I’m half crazy?” It’s fun to see what turns up! I simply try to perceive what is present without identifying with it. All kinds of mental phenomena (or the lack of it) comes and goes. I didn’t tell myself to quit having expectations and judgments. It just happened naturally over time. And, here’s what was surprising to me: the less I tried to force a sense of well-being into my meditations, the more it arose naturally on its own. I had made friends with the experience! Now, whether I struggle to stay awake, fight an urge to plan my grocery list, come up with a brilliant insight, acknowledge some worry, or sit in blessed awareness of the present moment, I consider it a privilege to live the adventure. 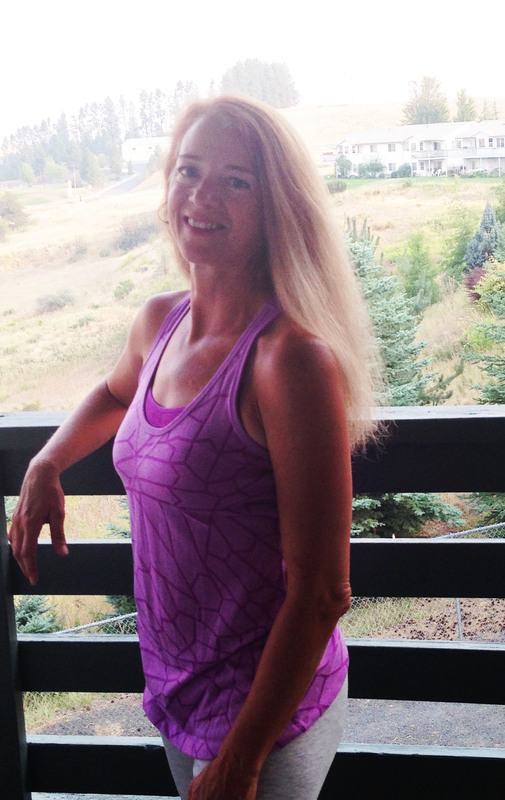 We are pleased to welcome Janet Keeney to the teaching faculty at Aloft Studios. Please read her wonderful bio on the teacher’s page, as well as her class description. 1) Annamaya Kosha – The physical level. Asana practice is the primary practice at this level. The asanas not only increase strength, flexibility, agility, coordination, toning, improve balance, body awareness and proper spinal alignment, but they are also designed to create specific spinal movements, (including movements of the spine with breathing), to draw in awareness, postural and spacial awareness, awareness of tensions stored in the body, so they can be released, and an overall awareness, in preparation for meditation. The asanas are also a means to learn to put forth effort with complete relaxation. Chakra work is included in this level, including specific krias, (cleansing techniques), and bundhas, (gentle holding techniques), as well as specific prananyamas, (breathing techniques), for each chakra level. 2) Pranamaya Kosha – The life energy level. Pranayama practice, becoming aware of subtle life forces, utilizing specific breathing techniques. In these practices, students will learn to calm and conserve their life energies, alter the flow of energies for enhancing proficiency in desired activities, and enhance lung capacity. Practices at this life energy level also affect the physical and mental levels, relaxing the body and bringing peace to the mind. Practiced regularly, they also slow the aging process. 3) Manamaya Kosha – The mental level. Premeditation and meditation practices are done for this level, both traditional forms of yoga meditation, and non­traditional forms. Students will develop awareness of the pictorial mind and the verbal mind, and their variable ratios within individuals. With this awareness, students will learn to still the pictorial mind, and quiet the verbal mind, leading to a state of deep peace. 4) Vignanamaya Kosha – The intellectual level. Practices develop awareness of that aspect of our existence that directs our mind, so that mind “becomes an instrument in our hand”; we can become the directors of our own minds, rather that the mind seeming to “have a mind of its own”. Come dance with your friends! Experience the freedom and joy that is Nia. Strengthen your body, work out your mind, exercise your creativity, engage your spirit, have fun! Let your inner dancer come out to play! Nia is dance designed for EveryBody, from “newbie” to dance enthusiast. It’s a great whole body workout, and the music is fantastic! Let’s face it . . . We all need a break sometimes. We need moment to step back, gain some perspective, recognize that we are more than the thoughts and emotions we are having in the immediate moment. We need a moment to realize that we are more than the physical pain, the grief, the fear, or the illness we are experiencing. It’s no wonder that, within the traditional path of yoga, four of it’s eight limbs are dedicated to learning to quiet and focus our minds. In yoga, it’s sometimes called “cultivating the witness.” We use our breath, our ability to focus and concentrate, our posture, and our intention to become familiar with that part of ourselves that can “witness” our thoughts, feelings, even our discomfort. We initially learn to recognize, and then gradually to be at home with, this witnessing part of ourselves. Once found, the witnessing place within us can be a powerful reminder that we are more than the sum of our immediate strong feelings, thoughts, story-lines, physical pain, even illness. Cultivation of the witness within ourselves empowers us to make choices where before we felt victim to circumstances and situations beyond our control. We meet the witness as a loving, non-judgmental place within ourselves. Spending time in this witnessing place creates a sense of sanctuary and peace. We begin learning this process early on in yoga practice, and then we integrate it into our asana practice. Once we are able to consistently find it in yoga, it has the benefit of expanding outward into the rest of our lives. Thresholds” . . . those moments in life that are “cross over” moments, when things change from being one way to being another. Sometimes, we choose them, and sometimes they choose us. They may be joyous or difficult, they often feel like either a new beginning, or an ending, or sometimes both. The threshold can be created by many different types of situations — having a child, finding a new job, experiencing a loss or an illness, starting a new relationship or ending one, taking a risk . . . In all of these and many other life transitions, we find ourselves leaving a familiar life situation and moving into something new. Whether they desired or thrust upon us, they are stressful. The elephant-faced god “Ganesha” is one of the better-known and most beloved in the Hindu pantheon. 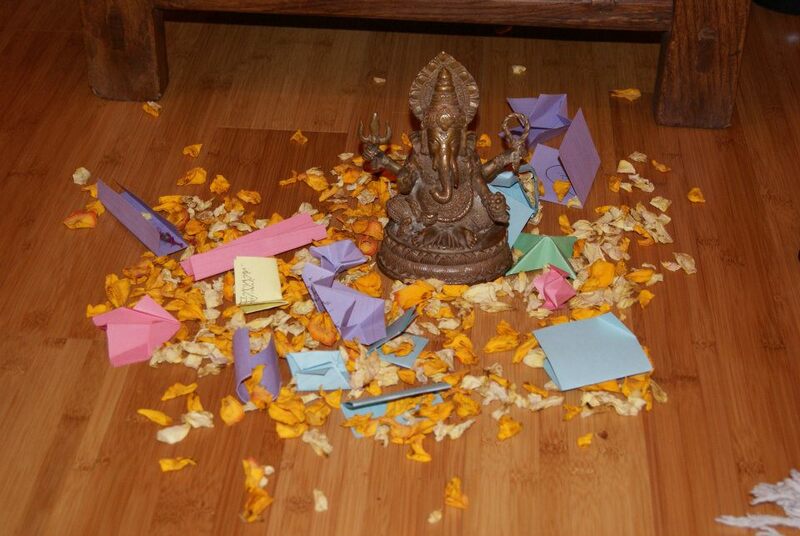 He’s known as the “remover of obstacles” and is often placed around thresholds and sought out during threshold moment. The practices of yoga, meditation, and relaxation help us to learn to navigate the thresholds of our lives with a certain amount of perspective and peace. When we navigate obstacles in yoga, we seek to learn ways to walk through the doorways of our lives with our eyes wide open, as well as with a sense of intention and a spirit of compassion for ourselves and others. In these ways, the thresholds life offers to us become moments that, while we may not always embrace them, at least we mindfully navigate our way through. Whether we dance to laugh and play, to let go of heartache and tension, for exercise, to find ourselves, the Divine Light, or all of the above at the same time, it’s a good thing! Nia: Wednesdays 4:30 – 5:30; Thursdays 1:00 – 2:00; Nia/Yoga combined into a single class on Mondays and Thursdays from 4:30 – 5:30. And the best part is, you don’t have to actually be able to “dance” at all — just come, ready to move!